Animals at the site of traffic accidents, from homes, and from streets where animals are hurt and in need of help. Whatever the situation is our staff and our volunteer/members rushes to any spot at any time, when need be there.Since we do not have any proper place to treat major casualties , we provide first aid as and when information is received and arrange for its pickup by some other organization that have the facility. 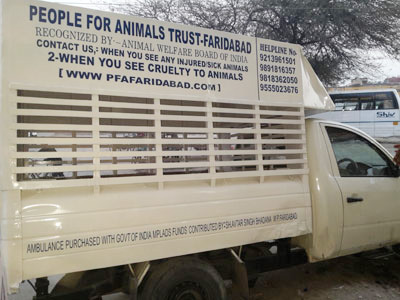 PFA Faridabad catches stray dogs from different areas in Faridabad city and gets them sterilized at Aastha Shelter Home, and releases them from where they were picked-up. 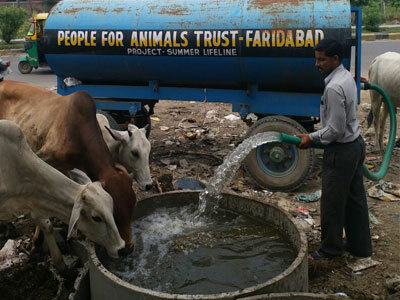 PFA Faridabad also vaccinates all sterilized animals, against rabies. Project Summer LifeLine since 2015 is conducted by the PEOPLE FOR ANIMALS TRUST FARIDABAD to provide some comfort to homeless animals in this unforgiving summer. The lack of clean drinking water leads to dehydration and finally death of thousand of homeless animals and birds in our city. Here is a chance to help animals and birds in your city in a small way. 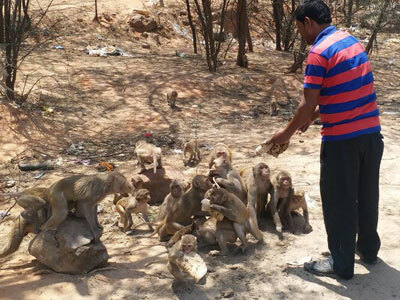 Under Project ROTI, Our organization provide fresh "ROTI" to stray wild monkeys at aravali forest area twice a day. After the animal is cured our members help us to identify people interested in adopting these dogs & pupies and get them adopted in homes where they will be looked after. So far a lot of dogs & pupies have already found homes for themselves. 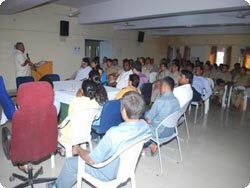 Conduct training programs and advisory service for the people who want to involve in the animal welfare activities. Advisory services to individual, schools, colleges, Pvt./Govt. Sector related to animal welfare activities.